"Fizzy drinks 'kill 180,000 a year'"
Do Nigerians pop nearly as much bubbly as the French themselves? What started out as a forecast on new champagne consumption has taken on a life of its own. The post No, Nigeria is not the world’s biggest champagne consumer after France appeared first on Africa Check. FactCheck: is Ukip a “major party”? The internet is full of dark places. There are websites where people gather to share illegal images, buy illicit drugs and air offensive opinions that wouldn’t be tolerated on most mainstream sites. But just as the memes and jokes that originate on forums such as 4chan spread to the wider internet, the hatred expressed there doesn’t stay put either. 4chan’s Politically Incorrect or “/pol/” board, in particular, has become a home for the so-called alt-right brand of white nationalism. It was a central part of the online support for Donald Trump in the US election. But it is also a place where users organise campaigns of abuse and trolling on other websites. While 4chan is increasingly reported on by mainstream media, we know little about how it actually operates and how instrumental it is in spreading hate on other social platforms. That’s why my colleagues and I decided to study /pol/ – analysing 8m posts posted since June 20, 2016 – in an attempt to measure some of the impact it’s having on the rest of the internet. 4chan is an imageboard site, built around a typical bulletin-board model where users post images related to each board’s specific theme and other users can reply with comments or more images. 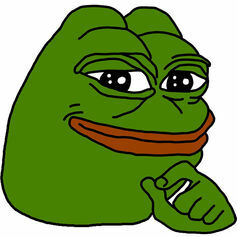 Two of 4chan’s most important aspects are anonymity (users don’t have a public profile) and ephemerality (inactive threads are routinely deleted). 4chan currently features 69 boards, split into seven high level categories, including Japanese Culture and Adult. The declared purpose of the Politically Incorrect board is for “discussion of news, world events, political issues, and other related topics”. But there are, arguably, two main characteristics of /pol/ threads. One is its aggressive and racist tone, and use of offensive and derogatory language. This characterises its links to the alt-right movement, which rejects mainstream conservatism as well as immigration, multiculturalism and political correctness. The other interesting characteristic is the substantial amount of original content and online culture it generates. Most notably it turned the minor comic book character “Pepe the Frog” into a meme and symbol for the alt-right. Another important aspect of /pol/ is its reputation for coordinating and organising so-called raids on other social media platforms. 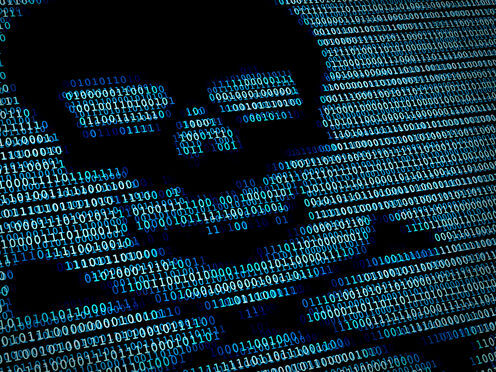 Raids are somewhat similar to distributed denial of service (DDoS) attacks used by hackers to bring down websites. But rather than aiming to interrupt the service at a network level, they attempt to disrupt a site’s community by actively harassing users or taking over the conversation. In summer 2016, /pol/ users launched “Operation Google” in response to the search engine’s introduction of anti-trolling technology to push sites with offensive language further down its page listings. Users began replacing hate words with the names of large tech companies, for example using “Google” and “Skype” to replace racist words for black and Jewish people. Our study showed that Operation Google had a substantial impact on /pol/ and is still somewhat in effect. But its effect beyond 4chan itself was actually quite limited and less prevalent than was reported at the time. We then explored raiding behaviour on other social media platforms. Abusive language seem to be such a fundamental part of /pol/ that its users presumably feel able to disconnect from the insults directed at them. But cyber-bullying is a genuine problem that can lead to depression, self-harm, and even suicide. So we can’t ignore cases where 4chan’s hate-filled vitriol spreads onto other websites such as YouTube. We found evidence that certain YouTube videos experienced a peak in commenting activity when they were were linked to on /pol/. What’s more, we found that if the comments were posted shortly after the link first appeared on /pol/, they were more likely to include hate words. In other words, there is statistically significant evidence that /pol/ users are attacking YouTube users through its comments. Our research analysis also provides an explanation of how some of the key features of 4chan (such as ephemerality and anonymity) influence content and behaviour of the board. For instance, the “bump limit” system ensures that certain threads do not monopolise the conversation, ensuring fresh content is constantly generated. 4chan and /pol/ are continuously evolving. Over the past year, the site has been sold to the founder of a Japanese rival, introduced very mild moderation and is reportedly looking at new ways to monetise the site to deal with its financial struggles. The ephemeral nature of the boards naturally creates shifts in topics and activities, as well as users moving to other, somewhat similar sites such as 8chan. But the increasingly organised activities of the board’s users and their ability to generate internet-changing content demonstrates the strength of its underlying influence. As the world increasingly looks at 4chan, 4chan will continue to look not so silently back. Emiliano De Cristofaro receives funding from the EU, EPSRC, the Royal Society, Xerox, and Google. FactCheck: has the Russian bear lost its claws? In a global environment in which blandness seems to rule and people are more connected – and therefore arguably more homogenised – than ever, subcultures might seem to be on the decline. But this is far from the case. Subcultures encompass a broader range of people than just today’s youth, as Paul Hodkinson’s research on goth and ageing has shown. Twice a year each year, a curious event occurs in a small seaside town: Whitby Goth Weekend. 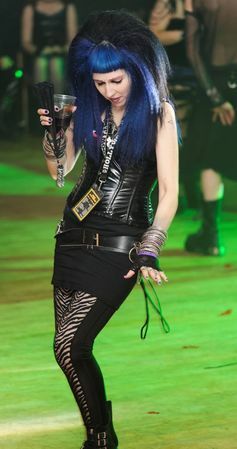 Originally organised as a goth gathering in 1994, the festival is now one of the larger events in the European goth calendar. 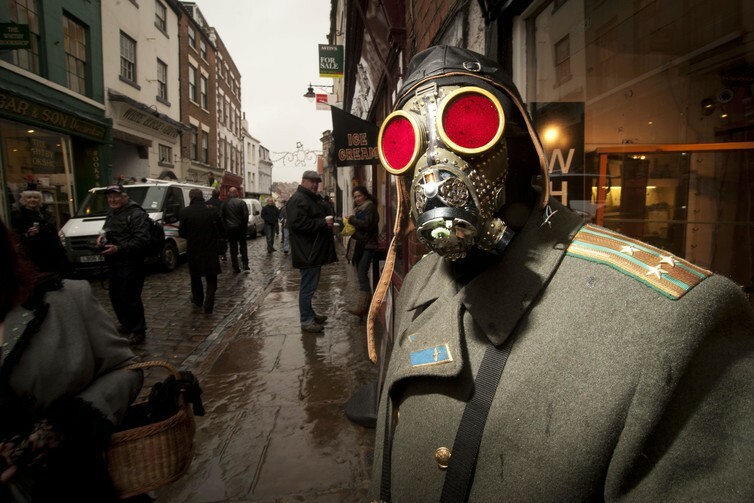 The festival, the most recent of which occurred over the first weekend of November, no longer attracts only goths – many steampunk enthusiasts, among others, have started to attend, too. So what does this say about subculture today? Brigitte, an iconic figure on the scene. Goth emerged in the late 1970s, and is often associated with the popularity of The Sisters of Mercy (although the lead singer, Andrew Eldritch, rejects any association), as well as The Damned, Bauhaus, Siouxsie and the Banshees, and The March Violets. The music is diverse, but is often characterised by a heavy drum beat (on a drum machine), rock guitars, low register male vocals, and as a counterpoint, a high register female voice. But it isn’t simply a music culture. For many, goth is a lifestyle choice. Goth is characterised most famously by the notion of a dark aesthetic, so that sartorial choice is often influenced by a melancholic sensibility (black clothes, piercings, tattoos). This is not to say the culture is miserable, as Catherine Spooner’s forthcoming book carefully notes. Indeed, Whitby Goth Weekend’s wryly humorous side is obvious if we look at the festival’s annual football event, featuring black clad footie supporters, and players with improbably long, dark hair. While the foundations of Whitby Goth Weekend relate to a very specific subcultural and musical affiliation, in recent years this has somewhat diversified. Whitby now attracts many attendees who might not identify as goths. They celebrate the spectacle of fashion and the photographic opportunities. Many of these people are drawn to the literary legacy of the Abbey and St Mary’s Church, which featured in Bram Stoker’s 1897 novel, Dracula. This has prompted much chagrin from some attendees, who see it as a detraction from the subculture itself. There are, of course, long standing debates in theories of subculture about the nature of authenticity and boundary marking, including Sara Thornton’s idea of “subcultural capital” (1995), which she maintains is linked to an assertion of distinctiveness, and a claim to subcultural authority. Ross Haenfler notes that while individuality, tolerance and creative free play are often vaunted as markers of subculture, in practice, there are always “battles over hierarchy”. But the festival, as much as the subculture, does not stand still: recent appearances by synth-rock outfit William Control, and the London-based dark wave band, Cold in Berlin, testify to a new type of sound, and a different generation of attendees. Such diversification also includes other genres, such as steampunk. In 2007, James Richardson-Brown (Captain Sydeian) organised the first steampunk meet-up in Whitby, to coincide with the festival. Since that time, steampunks have congregated alongside the traditional community in a series of fringe events hosted at The Rifle Club. This is not to say that there isn’t an overlap in these subcultures: one of the most preeminent steampunk bands, Abney Park, have headlined at the main event three times. Such a shift indicates a fluidity within both subcultures. The author KW Jeter is usually credited with coining the word “steampunk”, which he later identified as “a taste for brass and copper and the ticking, hissing mesh-&-grind of Victorian technology”. He characterises steampunk as an aesthetic resistance to the smooth surfaces of contemporary mass production. Many steampunk participants also embrace this aspect of retro-technology in their attire. Notably, unlike goth, steampunk originated from literary rather than music culture: it embraces anachronism and science fiction, with reference points including figures such as H G Wells, Mary Shelley, and Jules Verne. Steampunk at its best is avowedly political: The Steampunk Magazine represents a repository of radical politics, including debates around gender, activism and anti-capitalism. 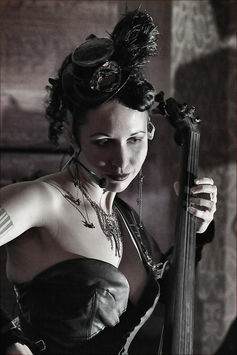 A performer such as Unwoman, whose stage name is tellingly derived from Margaret Atwood’s dystopian novel, The Handmaid’s Tale (1985), engages with many of these themes in her 2012 album The Fires I Started. At the same time, The Men That Will Not Be Blamed For Nothing emphasise the “-punk” aspect of the genre, castigating the inequalities of the Victorian age in songs like Third Class Coffin. Steampunk is synonymous with sepia tones, alongside a nostalgic but not uncritical approach to the Victorian period. It encompasses technology, and arts and crafts practice, but there is a much darker side, too, which Captain Sydeian and others have characterised as Steamgoth. The artist Dr Geof perhaps represents this steampunk/goth overlap most effectively. His art combines historical anachronism, whimsy, subcultures, fetish, and gentle satire: indeed, he might usefully be situated in broader debates around Neo-Victorianism. So where are UK subcultures headed from here? The idea of synthesis between subcultures does not necessarily spell their end – indeed, ideas of what Hodkinson calls a “pick-and-mix” approach characterise contemporary debate around these identities. For Whitby attendees, it’s possible any resentments might be tempered in future. The steampunk community has secured its own weekend in Whitby (February 2017), as well as having several other events dedicated to their particular strand of subculture (The Lincoln Asylum being the most obvious of these). Even in the era of globalisation, it seems the idea of a localised belonging is very important. "Infection could trigger arthritis," claimed a headline in the Daily Express today. But you needn't worry that a cough or cold will cause you crippling joint pain: the headline is an oversimplification of some fascinating – if early stage – research. The research in question focused specifically on the causes of rheumatoid arthritis – a painful long-term condition that causes swelling and stiffness in the joints. It is caused by the body's immune system attacking the joints. In a series of laboratory experiments, scientists singled out a form of a protein called vinculin as playing an important role in how the immune system is triggered to attack the body in rheumatoid arthritis. A tiny section of the vinculin protein acted as a target for the immune attack. The same target was found in common bacteria, leading to speculation that bacteria infection might sensitise some people to develop the disease later. While this is plausible, it was not proved to be the case in this study, so is largely speculative at this stage. While further research might be able to prove if this is true, the immediate implications, including ways of preventing or treating rheumatoid arthritis, are zero. The study was carried out by researchers based in medical centres in the Netherlands, Cyprus and Greece, and was funded by the Netherlands Organization for Scientific Research, the Innovative Medicines Initiative and the University of Cyprus. It was published in the peer-reviewed journal Nature Communications. The first sentence in the Express' story seems overenthusiastic. It is a bit early to say to what extent this finding represents a genuine "breakthrough". This was a laboratory study looking at the biological disease processes involved in rheumatoid arthritis. Rheumatoid arthritis is a long-term condition that causes pain, swelling and stiffness in the joints. It is caused by the body's immune system attacking the joints and sometimes other parts of the body. It is not yet known what specifically triggers this self-attack. Most people with rheumatoid arthritis have special antibodies known as anti-citrullinated protein antibodies (ACPA). Citrullination is a normal chemical modification of a protein, but it seems in the case of rheumatoid arthritis this modification singles it out for attack. These ACPAs are thought to be involved in directing the body's immune system to attack itself, which causes rheumatoid arthritis symptoms. This process is not well understood, so the researchers wanted to find out what the ACPAs were targeting in the joints, to help them understand how to come up with treatments for rheumatoid arthritis. Laboratory studies are very useful in the early stages of understanding disease processes, because scientists can control the conditions precisely and manipulate them as they choose. However, disease processes in the lab are not the same as those in the body, so once an initial understanding is developed, studies in humans usually follow. The study involved biochemical experiments on human and lab-grown cells taken from people with rheumatoid arthritis, as well as healthy volunteers. The experiments focused on understanding the behaviour of the immune cells involved in the disease process and the antibodies involved in orchestrating the self-attack. The researchers found that a citrullinated form of the protein vinculin was a target for ACPAs. It was also a target for the immune system cells – called T cells – involved in the self-attack. The ACPAs and T cells appeared to recognise part of the vinculin protein that was also present in common bacteria, as well as in another protein that occurs naturally in some people, giving them some protection against rheumatoid arthritis. When this "protective" protein was absent, T cells targeted the part of vinculin found earlier. The results as a whole led the researchers to conclude they had found a molecular basis for protection against rheumatoid arthritis involving these two proteins. Through a series of laboratory experiments, this research pinpointed a protein called vinculin as an important autoimmune target in rheumatoid arthritis. Much of the media reporting focused on the idea that being exposed to bacteria with the same target sequence as vinculin might sensitise someone to develop the disease later. The research team did discuss how infection might lower the threshold at which the T cells are activated to self-attack and might prime the immune system for self-attack. While this is plausible, it was not proved to be the case in this study, so this is largely speculative. This research furthers our understanding of rheumatoid arthritis, which may one day lead to treatment improvements. However, the immediate implications, in terms of treatments or prevention, are minimal. "Sensible diet cuts heart attack risk in months," The Times reports after a randomised controlled trial found evidence that following current UK diet guidelines can reduce cardiovascular disease risk factors such as blood pressure and cholesterol levels. We know that being a healthy weight and not smoking can help lower the risk of cardiovascular diseases such as heart attacks and strokes, but the evidence that healthy people benefit from low-salt, low-fat diets is weaker. One of this study's strengths is its randomised design, which is actually uncommon with diet studies. This helps reduce the possibility that other factors influenced the results. Limitations include the fact this was a small study (165 participants) carried out over a relatively short time period. Blood pressure and cholesterol measures are good indicators of the chances of someone having a heart attack or stroke, but not as reliable as waiting to see whether people in the study actually did so. It would be difficult (and possibly unethical) to do a dietary study that lasted long enough to show these outcomes. The study suggests that if healthy middle-aged people follow current UK dietary recommendations, there may well be benefits, but we can't be sure of the size of the protective effect. The study was carried out by researchers from King's College London and was funded by the UK Food Standards Agency, the Department of Health, and the National Institute for Health Research. It was published in the peer-reviewed medical journal The American Journal of Clinical Nutrition. It has been published on an open access basis, so it is free to read online. A number of the authors have worked, or are currently working, for food manufacturers and medical companies, which could represent a conflict of interest. The UK media reported the study with enthusiasm, with the Daily Mirror describing fruit and veg as a "lifesaver". The Guardian did a good job of reporting the different outcomes, but did not report that some of the key measures did not show any improvement. But none of the papers questioned how the overall "one-third" reduction figure mentioned by the researchers was calculated. This was a randomised controlled trial that compared the effects of following two types of diet. One was based on a nutritionally balanced standard UK diet. The other included current UK nutritional guidelines, which recommend reduced salt, saturated fat and sugar intake, and an increased consumption of oily fish, fruit, wholegrain and vegetables. Randomised controlled trials are a good way of comparing the true effects of a treatment or diet. However, the 12-week study could only look at the effects the diets had on markers such as blood pressure and cholesterol levels, but not long-term outcomes such as heart disease and stroke. The researchers recruited 165 healthy non-smoking UK volunteers aged 40 to 70. They all had health checks at the start of the study, and were then split randomly into two groups. One group was asked to follow a standard UK diet while the others followed a diet based on healthy eating guidelines. After 12 weeks, the health checks were repeated and the researchers looked for differences in blood pressure, cholesterol and other measures of heart attack risk that could have been caused by the different diets. People selected to be in the study had an average risk of having a heart attack or stroke in the next 10 years. The researchers ensured health check measurements, such as blood pressure, were reliable by using 24-hour blood pressure monitors rather than just taking one-off measurements. Volunteers also had urine tests throughout the study so the researchers could estimate how well they were sticking to their allotted diets by checking their nutrient levels. The dietary guidelines group were given dietary advice to help them reach the salt, fat, sugar and other targets in the healthy guidelines, and were advised to choose low-fat dairy products and lean cuts of meat. The standard group were advised to eat a balanced "British" diet with no salt or sugar restrictions, based on bread, pasta and rice, potatoes with meat, limited oily fish, and wholegrain cereals. They were asked to eat full-fat dairy products. Both groups were asked to limit their intake of sweets, cakes, biscuits and crisps, and to drink alcohol within safe limits. While they reported on many other outcomes in the study, these are the key ones to look at. The researchers reported the effects of treatment as the comparison between the diet groups at the end of the study, adjusted to take account of differences between the participants before the study began. However, it is not clear from the study how the researchers calculated the overall reduction in risk of having a heart attack or stroke from all the changes combined. The main result was that people who followed healthy dietary recommendations reduced their daytime blood pressure measurement by an average of 4.2mmHg compared with the standard diet group, which was more than the researchers had hoped. However, the average change in cholesterol ratio was less than expected – 4%, below the hoped-for 5%. There was no significant difference in change in blood vessel stiffness. The people following the dietary recommendations lost weight compared with the standard diet group (average difference 1.9kg), even though that was not the intention of the study. The researchers said the change in blood pressure was "remarkable" and would "suggest" a reduction in the risk of having a fatal stroke of 54%, as well as a 39% drop in the risk of getting heart disease, for people following the healthy diet, depending on age. They attribute about half of the drop in blood pressure to the effect of eating less salt. They say the change in cholesterol levels for the dietary guidelines group, although "modest compared with drugs such as statins", would still reduce the risk of heart disease by about 6%. They concluded that, "selecting a diet consistent with current dietary guidelines compared with a traditional United Kingdom dietary pattern" would be likely to cut the chances of having a heart attack or stroke for people in the general population by 30% based on previous research. This study showed that following dietary recommendations closely for 12 weeks can reduce blood pressure by a significant amount, which is likely to cut the chances of having a heart attack or stroke for an average healthy middle-aged person. The diet also affects cholesterol levels, but the overall effect of this may be modest. The study appears to have been carefully conducted to avoid biasing the results. The researchers gave butter or margarine spread and cooking oil to people in both groups, for example, and asked everyone to fill out food diaries, as well as taking urine samples for nutrient analysis. This may have improved the chances of people sticking to the diet they were allocated to. The methods used to analyse blood pressure and other health checks were rigorous and likely to produce reliable results. However, it is disappointing that the study report is not clear about how the researchers reached the headline figure of a one-third drop in the risk of a heart attack or stroke. The report includes much detail about changes to individual risk factors, such as different ways to measure cholesterol, but does not explain how the researchers calculated the overall risk reduction. That said, this is a well-conducted study that offers good-quality evidence of the effects of following the current UK dietary recommendations. Writing in the New York Times, actress Angelina Jolie has announced she recently had her ovaries and fallopian tubes removed as tests showed she had an estimated 50% chance of developing ovarian cancer. This is because previous testing found she was carrying high-risk genes linked with ovarian as well as breast cancer. This follows a previous announcement in 2013 when Ms Jolie announced she had undergone a double mastectomy (where both breasts are surgically removed) followed by breast reconstruction surgery. This was because the same high-risk genes gave her an 87% chance of developing breast cancer. Jolie explained: "I had been planning this for some time. It is a less complex surgery than the mastectomy, but its effects are more severe. It puts a woman into forced menopause. So I was readying myself physically and emotionally, discussing options with doctors, researching alternative medicine, and mapping my hormones for estrogen or progesterone replacement. "Regardless of the hormone replacements I’m taking, I am now in menopause. I will not be able to have any more children, and I expect some physical changes. But I feel at ease with whatever will come, not because I am strong but because this is a part of life. It is nothing to be feared." What genes contribute to ovarian cancer risk? BRCA1 and BRCA2 are faulty genes linked to ovarian cancer. They're also known to increase the risk of breast cancer. Having a family history of ovarian cancer, especially if the cancer developed before the age of 50, could mean the faulty genes run in your family. If you're at a higher risk of having a faulty gene, your GP can refer you for tests to check for faulty BRCA1 and BRCA2 genes. Ovarian Cancer Action has developed a tool to help you check whether your family history puts you at risk of ovarian cancer. What does preventative surgery involve? If testing suggests you have a high risk of developing ovarian cancer, your doctor may recommend a type of surgery called bilateral salpingo-oophorectomy. This is where both of your ovaries as well as your fallopian tubes are surgically removed. This should significantly reduce your chance of developing ovarian cancer, though it will trigger the menopause if you have not already gone through it. This can cause symptoms such as hot flushes and night sweats. Symptoms usually respond well to hormone replacement therapy (HRT). Alternative treatments are also available for women who cannot or do not want to use HRT. What other steps can I take to reduce my risk of ovarian cancer? Each time you ovulate, your ovaries are damaged by the egg as it breaks through the surface of the ovary and is released into your reproductive system. The cells that make up the surface of your ovaries divide and multiply rapidly to repair the damage caused by the egg. It's this rapid cell growth that can occasionally go wrong and result in ovarian cancer. Research into ovarian cancer has found that the condition may be linked to being overweight or obese. Losing weight through regular exercise and a healthy, balanced diet may help lower your risk of getting ovarian cancer. Aside from this, regular exercise and a healthy, low-fat diet are extremely beneficial to your overall health, and can help to prevent all forms of cancer and heart disease. Ask Full Fact: have 100 EU ‘powers’ been returned to the UK? This is right if the '100 powers' are taken to mean specific legislative acts rather than general competences. But they are limited to specific policy areas, and the right not to accept them was negotiated under a previous government. The post Ask Full Fact: have 100 EU ‘powers’ been returned to the UK? appeared first on Full Fact. The post Testing the claims on SATs appeared first on Full Fact. The post Just the Facts: Politics and the New Journalism appeared first on Full Fact. The now-defunct Kids Company claimed to be helping 36,000 people in 2015—the same number it claimed to help in 2011. Does this add up? The post Kids Company: doubts over how many it helped appeared first on Full Fact. FactCheck: what has the SNP failed to deliver? It’s over: Donald Trump will be the 45th president of the United States. The election that elevated him to this office has been brutal, ugly and bizarre. It has poisoned the well of American democracy, and the toxins it has introduced are unlikely to disperse anytime soon. Trump has eagerly led a mass abandonment of civility and reason, breached social proprieties and political protocols, and normalised prejudice and brazen dishonesty. The nation is now so divided that Democrats and Republicans are unable to agree on what constitutes factual reality. Dark rhetoric implying violent retribution against “certain groups” courses through the air. How did it come to this? When historians look back at this election what will they make of of the Trump campaign and its legacy? Will it be remembered as a one-off, or will they pronounce him an agent of a revolution in the Republican Party – or indeed, in America at large? In truth, the sickness this election has brought to the surface has been brewing for a long time. Trump is a symptom, not just a pathogen. He has shown a genius for channelling the grievances and insecurities of those disaffected by economic and social changes in the US – primarily, though not solely, working-class whites. With this uncanny skill, he has magnified a form of identity politics the Republicans have long been using to appease and mobilise their base. This experiment in political engineering began in earnest back in the early 1990s. It was until recently an insidious thing, usually advanced via dog-whistle tactics. Trump has picked it up and turned into a blunt instrument as he doubled down on his pursuit of a core white vote and eschewed any serious appeals to minorities. But on a structural level, Trump’s victory is every bit of a piece with the way American politics now works. There’s abundant evidence that the choices of the US electorate are increasingly shaped by demographics, but there are underlying cultural dynamics at work too. This picture of extreme divisions is why getting out the core vote, rather than changing wavering voters’ minds with earnest appeals, is the ultimate device for winning an election. The resulting focus on polarised core groups has exacerbated the crippling polarisation that wracks the US today – and the increasingly intense contempt in which Democrats and Republicans hold each other. Again, Trump did not create this divisive partisanship, but he has eagerly inflamed and manipulated it to his own ends. None of this means he will in fact serve the interests of the people who’ve elected him. Trump embodies that most American of American archetypes: the huckster or “confidence man”, a figure with a long history in American culture, dating from at least the early 19th century. He is a charlatan whose schemes invariably fail. In the end he skips town, leaving those he has scammed to learn their lesson. The confidence man is often a comic figure. He crops up in Herman Melville and Mark Twain’s satirical depictions of a rampantly commercial republic. Sometimes he’s no more than a fast-talking, comic disrupter – think Sergeant Bilko or even the Cat in the Hat. But the confidence man comes in darker manifestations too. He not only plays with other people’s trust, he abuses it to rob or demean them. Tricksters like Trump tell people what they want to hear, articulate desires not commonly expressed, and capitalise on their gullibility. The Trump campaign was just such a trick. The disaffected and angry among the American electorate are Trump’s mark, his suckers. All he asked was that they trust him. To his supporters, enraged by a dishonest, manipulative “Washington”, Trump “tells it like it is”. Many of them have lost faith in public institutions, and despise the country’s elites – and yet, in their search for an honest champion, they have gladly invested their confidence in Trump. Trump is an opportunist, not an ideologue – and he certainly isn’t driven by deep political convictions. Some claim he didn’t actually intend to make a protracted and successful run for the presidency, that he was seeking to promote his brand on the cheap, and that his ego simply took over once he was hijacked by his own success. Perhaps – but this overlooks the fact that he several times considered a tilt at the presidency, and it probably overstates just how much his campaign relied on improvisation and happenstance rather than something genuinely knowing. While many found Trump’s approach risible even to the end, it was strikingly effective from the off – and, while he stumbled many times, the underlying instinct to “go low” became a distressingly effective strategy. What’s the lesson of all this? The historians will one day be able to offer a longer view on that one. Right now, I suggest that Trump’s victory should remind us just how fragile the social and political order we take for granted is – and how quickly an advanced democracy can be dragged into barbarism. Liam Kennedy does not work for, consult, own shares in or receive funding from any company or organisation that would benefit from this article, and has disclosed no relevant affiliations beyond the academic appointment above. FactCheck: is there a Jewish exodus from France? “People with memory problems who have a university education could be at greater risk of a stroke,” BBC News reports. The hypothesis is that the gaps in memory could be the result of reduced blood flow to the brain, which may then trigger a stroke at some point in the future. Researchers documented memory complaints and occurrences of stroke in a group of 9,152 adults aged over 55 living in the Netherlands, for an average of 12.2 years. This showed that replying “yes” to the question “Do you have any memory complaints” was associated with a 20% higher risk of stroke overall compared with those saying “no”. This relative risk was higher in people categorised as educated – holding a university degree or higher vocational qualification. This shouldn’t be interpreted as meaning that having a higher education increases your risk of stroke. The explanation put forward by the experts was that people with a higher education may have higher levels of cognitive awareness, so they may be more likely to be aware of worsening. The study had a number of strengths, such as its long follow-up. However, its results were only significant using a subjective, self-reported measure of mental ability. A more objective assessment showed no link. There are many potential explanations for this, including the possibility that higher education compensates in some way. Still, knowing what we do about blood flow and brain function, a link between memory problems and stroke is plausible. The study was carried out by researchers based in the Netherlands and was funded by a range of medical, science and academic research funding bodies from the Netherlands and the European Commission. There were no conflicts of interest reported. The study was published in Stroke, a peer-reviewed Journal of the American Heart Association. The study has been published on an open-access basis so it is free to read online or download as a PDF. BBC News reported the study accurately and although it outlined potential implications of the results, it did not discuss any of its limitations. This was a cohort study (Rotterdam Study) investigating whether memory complaints earlier in life were linked to occurrence of a stroke in later life. The researchers say that people with cognitive impairment – some impairment of their brain’s ability to function – are at a higher risk of having a stroke. The research team wanted to know whether there were early signs of cognitive impairment, such as memory lapses, that could help them identify people at higher risk of stroke. If they knew who the high risk people were, they could focus efforts on minimising their risk, potentially preventing some occurrences of stroke. The researchers documented memory complaints and any occurrences of stroke in a group of 9,152 adults over 55 living in Rotterdam, the Netherlands, for an average of 12.2 years. Trained investigators interviewed all participants at home. The presence of subjective memory complaints was assessed by the question, “Do you have memory complaints?” Cognitive function was assessed using the standard objective measure of the Mini-Mental State Examination. This assesses orientation, memory, attention, language, and visuospatial construction (the ability to recognise a pattern or set of objects and then replicate the pattern or set). It wasn’t clear when the assessment of memory complaints occurred, or whether it was reported over time. Once enrolled in the study, participants were left to their own devices while the researchers were notified of any reports of stroke in the following years. People who already had a stroke or had dementia at enrolment into the study were excluded. The number of participants available for analysis was 9,152. Over the study period 1,134 strokes occurred, average follow up was 12.2 years. One of the main findings was that people reporting subjective memory complaints were 20% more likely to have a stroke than those who didn’t (Hazard ratio [HR] 1.20, 95% Confidence interval [CI] 1.04 to 1.39). However, this result was not found using the more objective measure of mental ability, the Mini-Mental State Examination. Better point scores on the test were not significantly linked to stroke occurrence (HR 0.99, 95% CI 0.95 to 1.02). These figures come from the analyses that took account of the largest list of confounders. The second important finding was that level of education was significantly influencing the results. Subjective memory complaints were linked with stroke only in those with high education – defined in this study as higher vocational education or university training (HR 1.39, 95% CI 1.07 to 1.81). Participants with missing information tended to be older, had more memory complaints, more likely to be female and had slightly worse scores on the assessments of mental abilities. These people were still included in the analysis. The researchers concluded “Subjective memory complaints might be an early indicator of stroke risk, especially in highly educated individuals”. This study showed that highly educated people who notice memory complaints in themselves may be more likely to develop stroke than those who don’t, over an average of 12 years. The study had a number of strengths, such as its population-based prospective design and availability of data on more than 9,000 participants at baseline with a long follow-up. However, there were also a number of limitations that weaken the strength of the conclusions. It was not clear whether the memory complaints were assessed just once at the start of the study or an ongoing basis. Some people may report memory complaints that are only temporary, while others not initially reporting complaints may have done so in later years. This could have altered the results, but is only likely to have had a minor influence. The results were only significant using the subject measure of mental ability. It would be interesting to explore whether other subjective and objective assessments show a link or not. Results tend to be more reliable if there is consistency between different measures of the same thing, objective or subjective. This was not the case in this study. The Mini-Mental State Examination is known to be less sensitive in well-educated patients. Possibly a different type of test is required. Although the study adjusted for a range of confounders, it is difficult to exclude the possibility that residual confounding by measurement error or unmeasured factors biased the results to an unknown degree. Data on depression and depressive symptoms was not available. The researchers highlight that this was a major limitation, “because it has been suggested that the associations with subjective indicators of health, especially memory, may be confounded by prevalence of depression”. The bottom line is that this study suggests a link between memory complaints in the highly educated and stroke but does not prove one causes the other. The study authors point to a plausible biological explanation but this was not tested in this study. 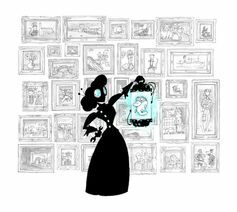 The results may warrant further investigation and confirmation in different studies, using different ways of assessing memory. If the link is real, we’d expect to see somewhat consistent results across different measures. Based on this study we can’t say that educated people with memory complaints are definitely at a higher risk of stroke. Nevertheless, vascular dementia (where reduced blood flow to the brain causes cognitive dysfunction) and stroke are both linked to the same underlying cardiovascular disease process, so a link between memory problems and stroke is plausible – particularly for this specific type of dementia. Methods you can use to reduce your stroke risk include eating a healthy diet, taking regular exercise, quitting smoking if you smoke, moderating your consumption of alcohol. Read more about stroke prevention. The country awoke the morning after the election – if indeed it had slept – to a widely unexpected and surprising result. Despite polls predicting little room between Labour and the Conservatives and pundits forecasting weeks of coalition negotiations with a range of possible unions, David Cameron achieved something that had not been seen since Thatcher in 1983. The Conservatives increased their seats in the Commons, thus achieving what had been seen as an unlikely majority to form a single-party government. It is hard to escape, however, the shortcomings of the first-past-the-post (FPTP) electoral process. Indeed, Douglas Carswell, the newly-elected UKIP MP for Clacton, used his victory speech to hammer home the fact that millions of voters were supporting UKIP, but due to the system, these votes did not necessarily mean seats. The numbers spoke for themselves: 1.5m Scots voted for the Scottish National Party (SNP), giving rise to 56 seats. Conversely, almost 4m people supported UKIP – and that party won just a single seat. 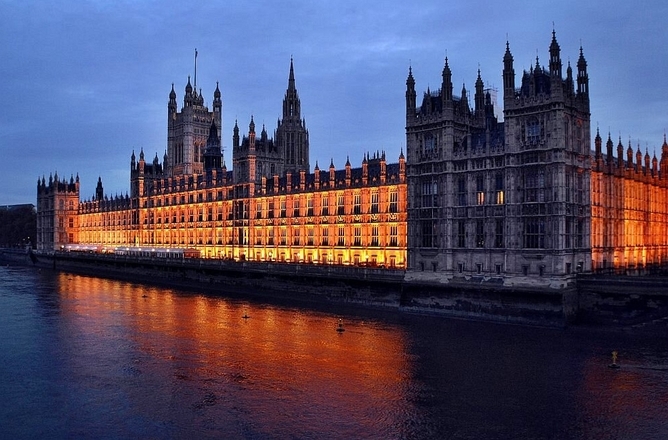 Under the FPTP system, the 650 commons seats are contested in 650 constituencies. The MP candidate who achieves the most votes in their constituency, takes one seat in the chamber. The problem is, however, that constituencies vary greatly in size and population. As a consequence, the number of votes cast in favour of a particular political party will not necessarily equate proportionally to seats in the House. 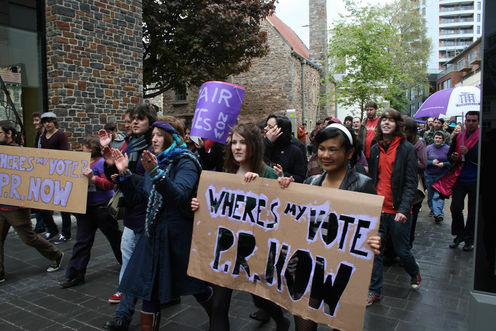 Electoral reform has been considered in the past. In 2011, motivated by the first hung parliament since the 1970s and encouraged by the Liberal Democrat’s part in the following agreement, a referendum was held on the possibility of FPTP being replaced by the Alternative Vote (AV) system. At the ballot box, this would have given the public the opportunity to number their potential candidates by preference. Due, perhaps in part to a rushed and uninformed debate, the referendum failed dramatically. The issue has not gone away, however, and in the run up to the 2015 election, parties gave space in their manifestos to the need for change. Proportional representation (PR) is widely identified as the preferable and obvious alternative. This means that seats are allocated proportionately to votes cast and can operate in a number of different ways. It is used, for example, to select members to the European Parliament. 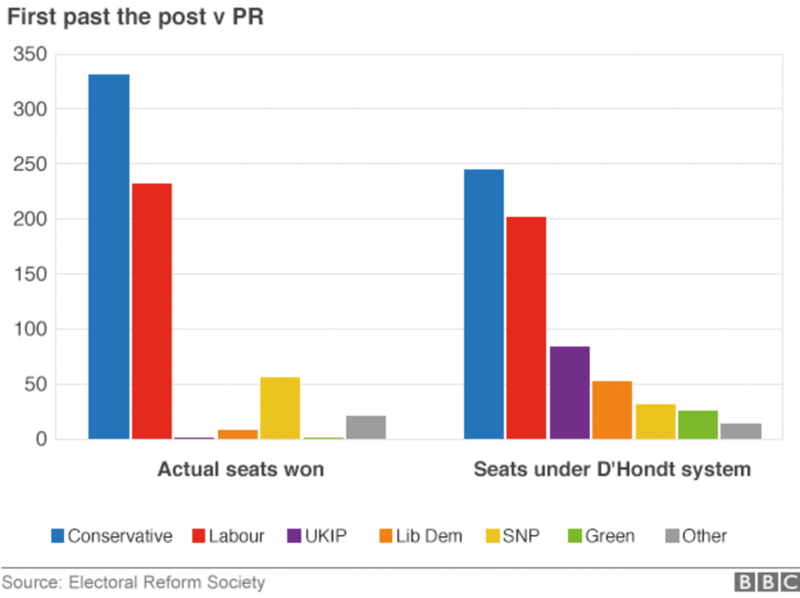 If the House of Commons, post the 2015 general election, were to be viewed from the perspective of PR, however, the results would be markedly different from the results to which we all awoke on May 8. Under proportional representation, the Conservative lead shrinks and the smaller parties enjoy results relative to their support. Of note, the 82 and 50 seats hypothetically allocated respectively to UKIP and the Lib Dems is in stark contrast to the disappointing results actually achieved on the night. Going forward, it is not necessarily just a case of altering the geographical discrepancies between constituencies and changing the way in which we allocate seats. Our constitutional system is founded upon a parliamentary and governmental system that requires the government to command a majority in the commons in order that policies and reforms having the backing of the elected government can be sustained. This would not be the case on the basis of the above figures – the Conservatives (as the winning party) being outnumbered 239 to 411. The very nature of our political system could change, therefore, in the event of fundamental electoral reform. Coalitions could, for instance, become the norm. That is another discussion for another day. The argument goes that the public deserve a government and a House of Commons that reflects their votes. FPTP for many years has arguably not provided that; proportional representation could be the answer. John Stanton has previously received funding from the EC1 New Deal for Communities regeneration programme (2007-2010). 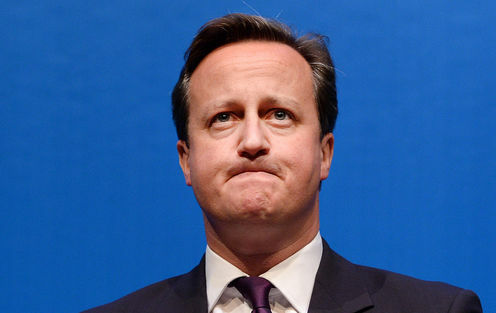 David Cameron’s 2015 election victory is all the more powerful for being almost completely unexpected. But as the euphoria dissipates, the obstacles in his path are coming into focus. Above all, he faces two tricky and complex problems: the promised EU referendum and future arrangements with Scotland (and by extension, the other parts of the UK). The EU referendum was in large part a gamble to see off UKIP and settle his party, but now he looks likely to do it as soon as possible, perhaps even in 2016, banking on a status quo bias to keep us in. And on Scotland, he has committed to implement further devolution and push through the jointly agreed Smith Commission proposals. In both cases, the devil’s in the detail. On the EU, lots of the specifics are unclear. We don’t yet know what the question on the referendum ballot might be, or what “reforms” to the EU will convince us to stay – and the coming struggles over them promises to be vicious. On Scotland, it is about giving the new SNP stronghold “the strongest devolved government in the world” – but there will be a need, as Nicola Sturgeon put it, to discuss these issues in more detail (and ditto for Wales). Devolution may also flow back into the Europe debate – Cameron has already refused a separate EU referendum for Scotland but could he hold that line? On both these pressing matters, Cameron is up against assorted bodies and people who could make his life harder. They can all be dealt with separately, but if they join forces, they could drain Cameron’s political energy and time – the two things a prime minster can least afford to lose. Cameron’s majority is 12 (or actually eight or 16, as Colin Talbot points out. This is far better than most expected, but it depends on the solidarity of an increasingly rebellious party. The trouble for Cameron is that parliamentary rebellion is habit-forming: the more you rebel more likely you are to do it again in the future. And the last parliament was the most rebellious since 1945 (here are its top seven rebellions against him). This bad news gets worse: the two biggest issues that Conservatives rebelled over were constitutional matters and Europe – the two most urgent problems for the next five years. Party management and discipline will be crucial, but even that may not stave off problems if Cameron’s majority is whittled away over time. Just ask John Major, whose 22-seat advantage in 1992 withered to zero by the end of 1996. The new block of 56 SNP MPs has limited practical power in the Commons, but its members can still use their electoral dominance and high media profile to keep Scotland high up the agenda. And in the event of a Tory rebellion, or a vanishing majority, the opposition parties' ability to co-ordinate could determine Cameron’s room for manoeuvre. The House of Lords is often overlooked, but its potential power to delay and disrupt a government agenda is great – and growing. As Meg Russell demonstrated, since 1999 the Lords has clearly started to feel more legitimate and more prepared to defeat the government: its members did so 11 times in 2014-2015 and 14 times in 2013-14. The Conservatives are now heavily outgunned in the House of Lords, with 224 peers facing off against 214 Labour ones, and 101 (presumably livid) Liberal Democrats and 174 cross-benchers. The Lords will be duty-bound to pass an EU referendum bill due to the Salisbury Convention, which means the Lords have to pass manifesto policies. However, there are plenty of other venues for lawmakers to vent their anger or disrupt the government’s timetable for other parts of its reform programme. Select committees in both the Lords and Commons expressed concerns at the lack of consultation on the Smith proposals, boding ill for the constitutional arguments ahead. Concern in one house triggers worries in the other, so wherever it crops up, Cameron will need to take it seriously. Outside parliament, it remains to be seen whether the eurosceptic right-wing media will be satisfied with any concessions or reforms Cameron gets from Brussels. It may prefer to give the oxygen of publicity to the SNP (particularly the very media-savvy Salmond) and treat us to a long and fascinating Cameron-vs-Sturgeon battle royale. Cameron also invoked English nationalism in the election campaign, going so far as to launch an England-only manifesto, but it remains to be seen if he can channel and control the mounting pro-English clamour in the right-wing press over the coming months while simultaneously making concessions to Europe or Scotland. Behind Cameron are a number of senior Conservatives with at least semi-public leadership ambitions. He’ll have to manage them with precision. In the almost certain event of an EU referendum, he would have to make a very tough choice: whether to ask all ministers to all support staying in, or as Harold Wilson did in the 1975 referendum, to let everyone temporarily agree to disagree. Equally, there’s no knowing how Cameron’s discontents and potential rivals might react to new devolution settlements. Perhaps the future leadership contenders are already plotting to court English nationalism for party and media favour. Cameron’s leadership capital is high for the time being, but with so little room for division, his promise to step down by the 2020 election may come back to haunt him. As he seeks to deal with the “Scottish lion” and slay the EU dragon – or at least negotiate with it – everything could get complicated and intensely political very quickly. And the chances of success (whatever that is) are almost impossible to gauge. Ben Worthy does not work for, consult, own shares in or receive funding from any company or organization that would benefit from this article, and has disclosed no relevant affiliations beyond the academic appointment above.